Even though the workers strike is not settling up, the Japanese car maker is preparing its new Toyota Etios Cross ready for the launch. 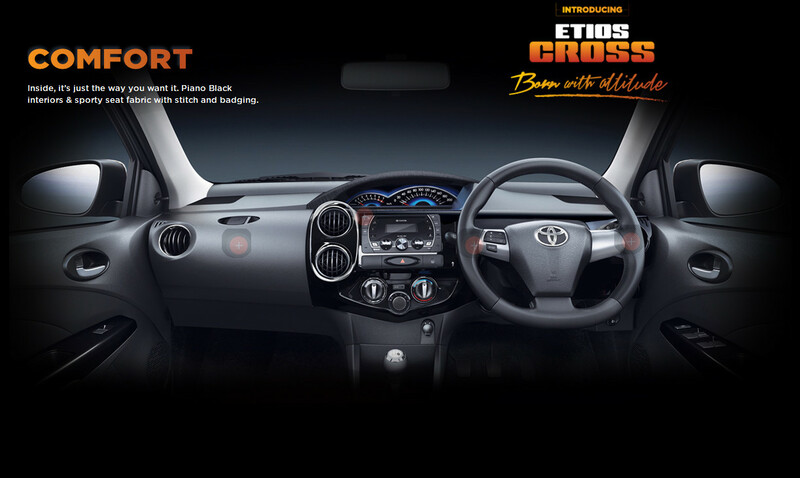 Its official now, all new Toyota Etios Cross will be launched on 7th May. We have already given you enough dope about the car as car already started reaching dealerships and booking started in the month of February 2014. The overall length, width and height is now 3895 mm X 1735 mm X 1555 mm which was earlier 3775 mm x 1695 mm x 1510 mm. There are no mechanical changes in the car so the wheel base remains same, 2460 mm. The car gets a body cladding to make it look like wannabe crossover though it remains in car category. On the interiors, the car gets piano black inserts in center console making it look like upmarket and overall black interiors. Seats also get Etios Cross name in fabric inserts. 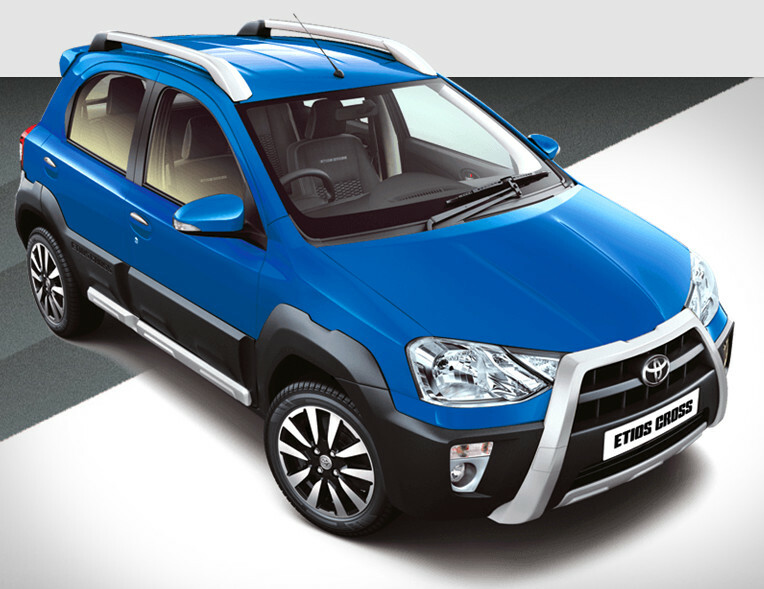 We expect Toyota to launch Etios Cross somewhere around INR 6.5 lakhs with the top of the line petrol V variant will be priced about INR 80,000 over the base model. 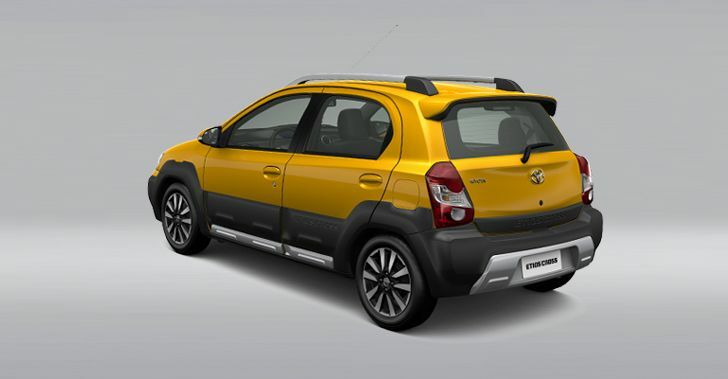 The standard features on the Etios Cross V are dual Airbags, integrated audio system with Bluetooth telephony and on the exterior there will be Etios Cross badges on the side and boot lid. 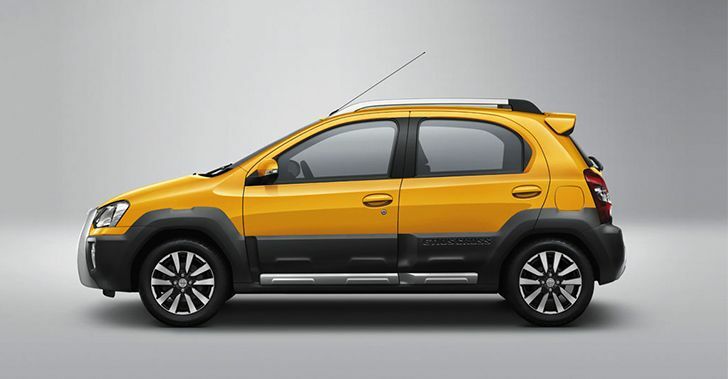 The company has showcased Etios Cross in 2014 Auto Expo and it will join the market competition with VW Cross Polo. Automotive manufacturers are trying their luck by introducing such variants and its not only VW and Toyota, Fiat is also getting ready with global product Avventura. A report on Business Standard concludes that Toyota India’s production gets halved due to management-worker stand off. The company sold 9,160 cars in March as against 19,000 in the same month last year. Will Toyota manage to meet customer demand if this car performs well in market?